Nothing goes better with hard-riding, road-loving Harley-Davidson riders than our Road House Customs™ Moonshine. This special hard smoked blend of whiskey is bold and smooth and a perfect start to the revelry after long rides. 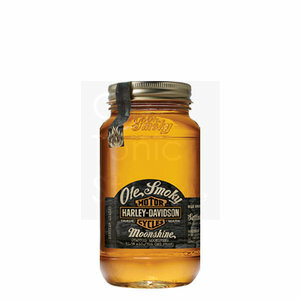 Its 103 proof is a nod of respect to the Harley-Davidson twin-cam 103™ engine. It's the moonshine that celebrates the ride.